Last night, as I was working through the process of getting ready for the new CTMH products releasing September 1, I was putting away the Basic Fundamentals paper and suddenly had an idea...coloring the flowers on the pattern with the Nutmeg background. I'm really happy with the result. I used Copic markers, but the ShinHans sold by CTMH would work just as well. I did both a yellow and pink version just because I was enjoying playing with the technique. On the yellow version, I used three colors, yellow, orange, and red. On the pink, I only used two shades of pink. I used the same green marker for the leaves and stems on both. The sentiment was created using the Artbooking Cricut Cartridge. I typed in the word, ungrouped the letters, moved them until they were touching (except for the "B"), then welded the letters together. I didn't want to cover up my pretty coloring, so I glued my sentiment to Vellum Paper cut to 4.25 x 3. I then glued the vellum to the background paper only behind the sentiment. Glue shows through, so you need to hide it. The chisel tip of the Dual Action Glue Pen works great for this. The nice thing about doing the coloring on this paper is that you don't need to be precise. The dark background hides all the smudges. Now the sad news is that, if you don't already have this paper, you're out of luck. Supplies have run out. The new catalog goes live in five days, so some products are sold out and others are running low on quantity. However, the good news is that there are some really great deals in the Clearance section, so be sure you check that out while you're shopping. 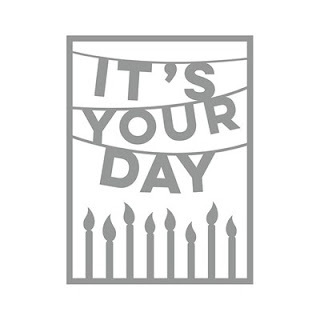 And don't forget about the promotional items which are also retiring August 31: Here's to You and the stamp of the month, which is only $5 with a qualifying purchase. I have been playing in my craft room with some of the new goodies and have lots of cards to share with you. Can't wait for you to see the new yumminess! Sooo...I made a really fun card for my friend then made this one with the leftovers. I just forgot to photograph the original card. Oops! Anyway, I used Documented paper from CTMH (leftovers from this layout) and die cuts from My Favorite things. I love when I can use up scraps. Remember, this paper pack retires at the end of the month so order now before they are gone. We are only two weeks away from the end of the Close To My Heart catalog year. Lots of pretties are retiring, one of which is the Documented suite of products. My rule for purchasing stamps which are designed to go with a paper is that I have to have lots of ideas for using them without the coordinating paper. 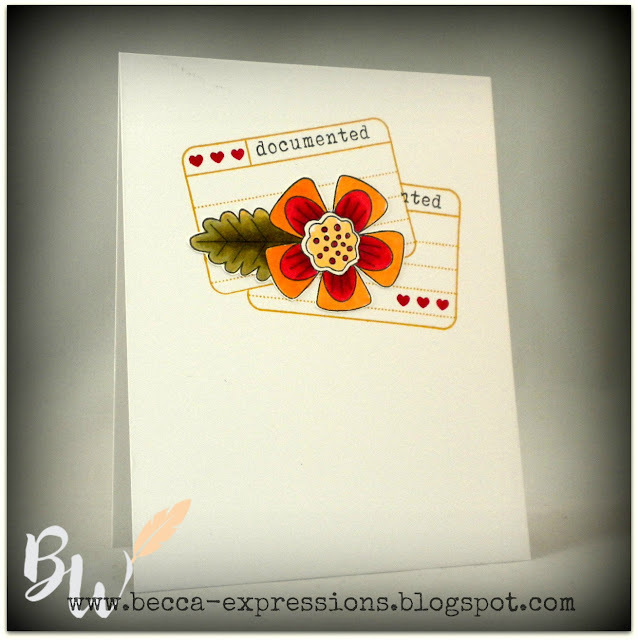 The Documented - Cardmaking stamp set is one of those. For this simple card, I stamped the background image in Saffron twice, using a mask on the top left one before stamping the bottom right one. The hearts are in Ruby and the sentiment in Black. I stamped the flower in Black on a separate piece of paper, colored with markers, then cut it out right along the edge with Micro-tip Scissors. This could easily have been a one-layer card if I'd stamped the flower first, masked it off, then stamped the background. I just don't like having the coloring bleed through to the back side of my card. I love the clean and simple look of this "all-occasion" card. 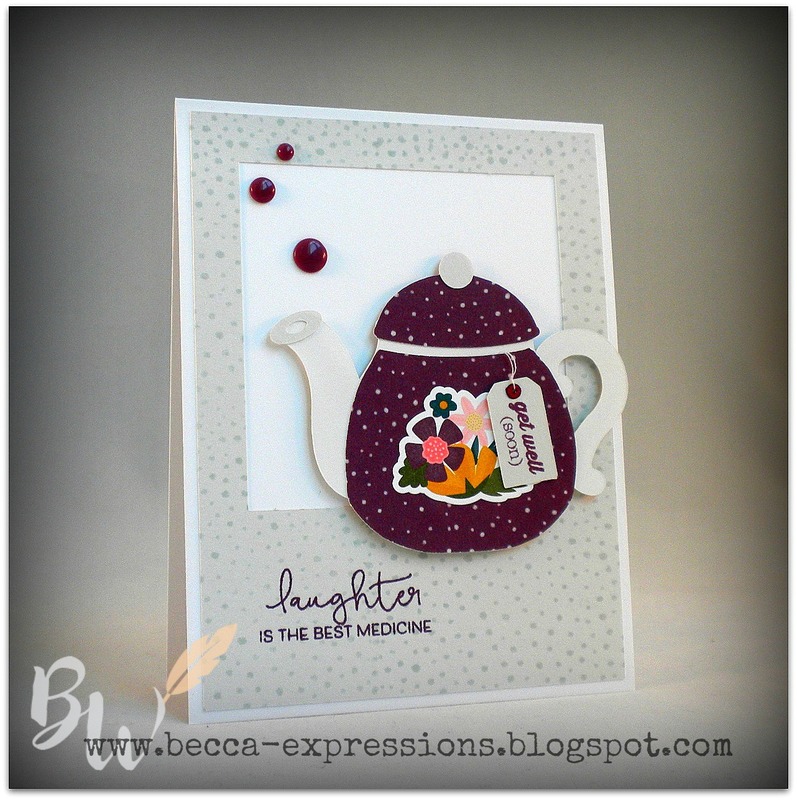 If you want a couple more ideas using this stamp set, click here and here. The second card, "Bad Influence," ranks as one of my top ten cards of the year...maybe of all the ones I've ever made. Now I really need to buckle down and get some writing done. I had a couple of good days followed by a couple of not so good days. Gotta get my word count up! I've been playing around with my It's Your Day Thin Cut cover plate, trying to utilize bits and pieces of it in different ways. I'm thrilled with how this card came out. 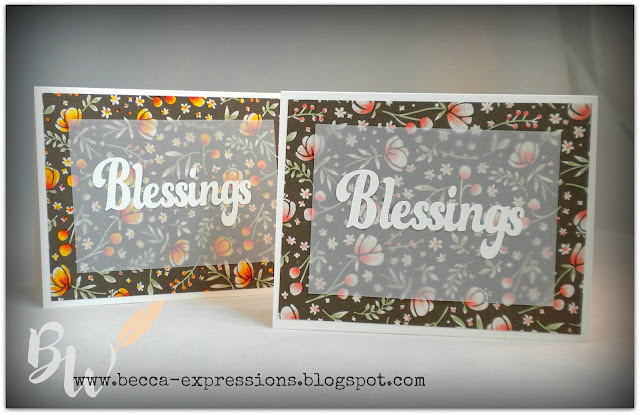 It features the Beautiful Friendship paper pack. The stamped sentiment is a combination of stamp sets: Central Park-Cardmaking (also featured on this post and this one) and the July Stamp of the Month (no longer available for purchase). I also used several stitched dies from My Favorite Things. Please note that anything with an * beside it retires at the end of the month when we get a WHOLE NEW CATALOG!! Yes, I'm a wee bit excited about that. In fact, I'm so excited about it I've gotten very little work done on my day job. This story is NOT going to write itself, and my deadline is starting to feel impossible. So...I really need to get up to my office instead of standing by the door waiting for my box of new products to arrive. Really. But one of the many perks of being a consultant is that I get to see the new catalog and order products before they become available to the rest of the world. I love that! Okay...okay. I'm going upstairs. Really. I'm in need of get well cards, so I sat down today and played with Flower Market, transforming the image that's in the cartridge until it looked more realistic to my eye. If you own this cartridge, here's the Design Space file. Please note, as this was a home made job, things don't line up exactly. Also, after I cut the background, I decided the inner square needed to be smaller. I've adjusted that on the DS file, but I used the one I cut first on this card as it wasn't bad enough to start over. I took advantage of the dual tone cardstock here, using the lighter side for the teapot and the darker side for the rim around the spout, the ball on top, and the frame. One quick tip for the tag: tie the thread around the tag, turn the teapot base over, secure the thread behind with tape, and then glue down the base. Yeah...ask me why I know that's a good idea. LOL! Once the teapot was assembled and the frame was stamped and glued to the card base, I used foam tape to give the teapot some dimension. I'm really going to miss the Short & Sweet stamp set. Those tiny sentiments are perfect for all sorts of occasions. I liked this card so well, I made two more of them. For the ones below, I used a combination of CTMH products and MFT products. 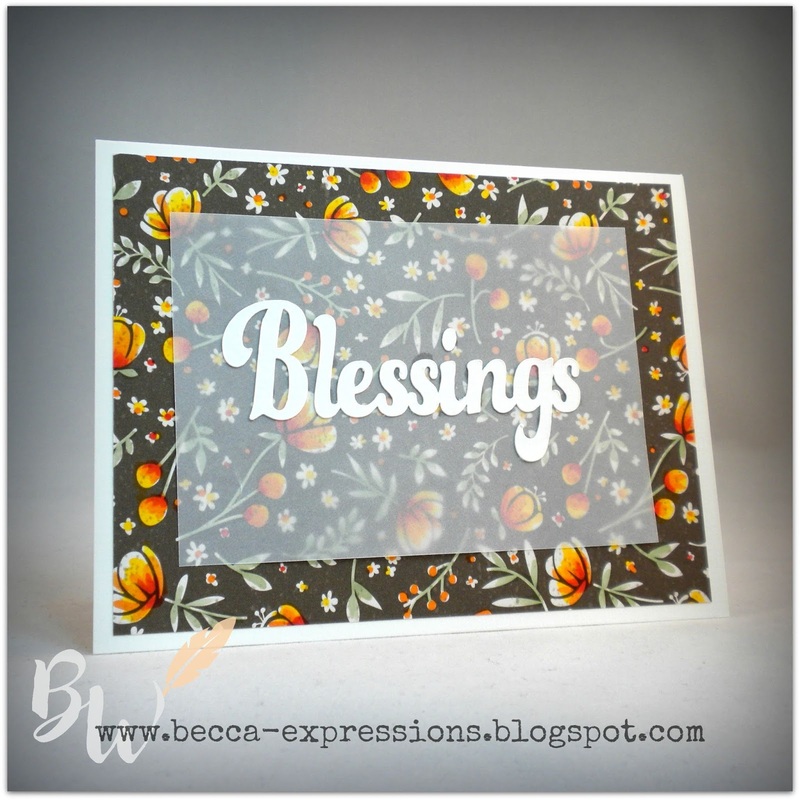 This card also uses the Documented Paper Pack but the background frame is in Pebble paper. I hand cut the paper at the top of the tea pot and used a Copic marker to color the knob in a cool gray. 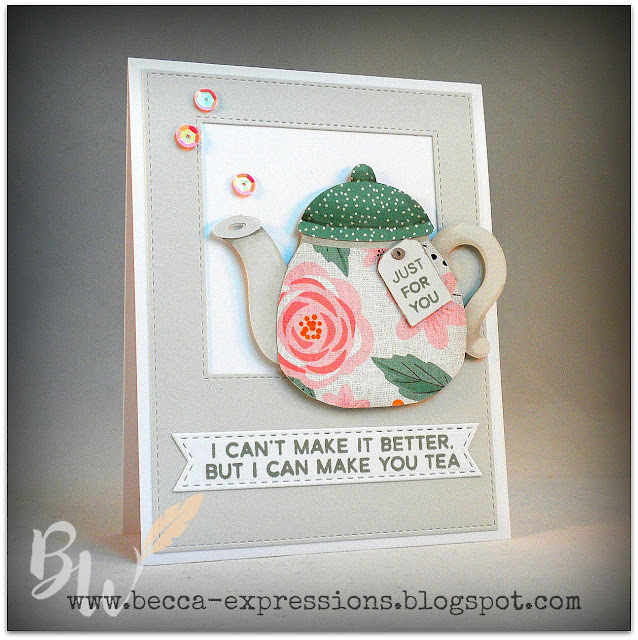 The steam coming out of the teapot is from a retired CTMH stamp set called "Wonderland." I love it when those sets I've been hanging onto for years come in handy. It justifies my inability to part with them. The sentiments on this card and the one below come from MFT. The set is called "Get Well Wishes." 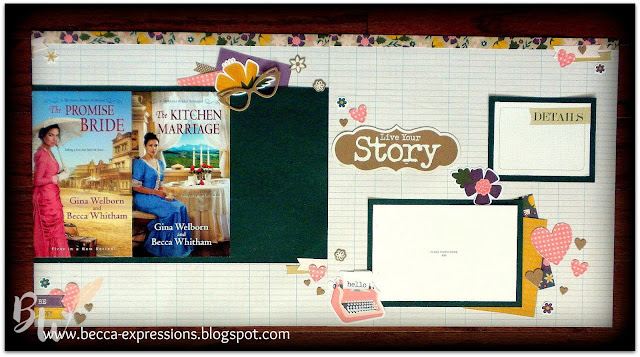 I also used MFT's "Inside and Outside" stitched frames to create the background frame. 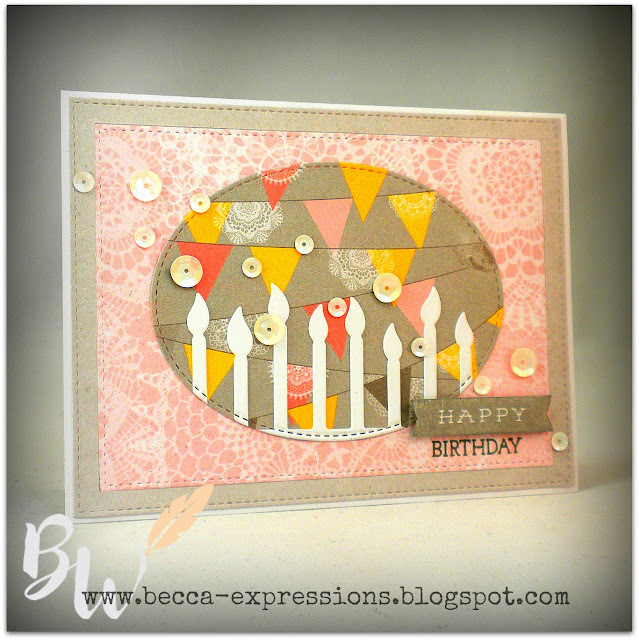 For this card, it was back to Linen cardstock and retired Gimme Some Sugar paper. I created the shading with Copic markers and added my sentiment with a banner made using MFTs Stitched Fishtail dies. 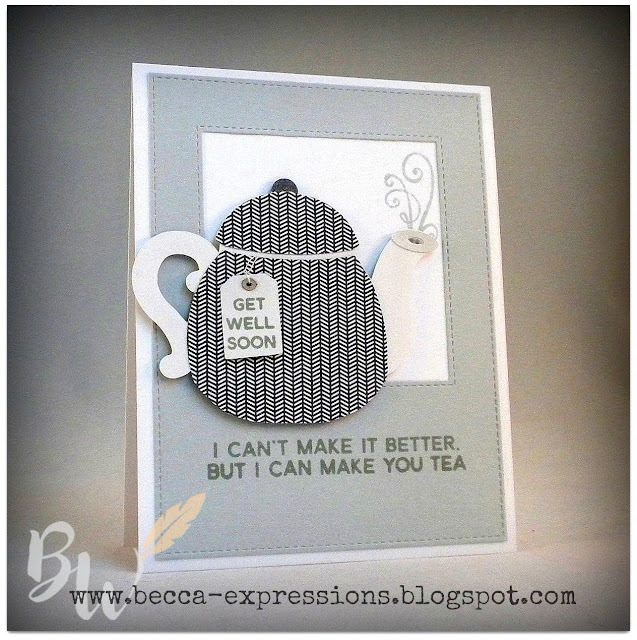 I know...lots of the same design, but one can never have too many get well cards! 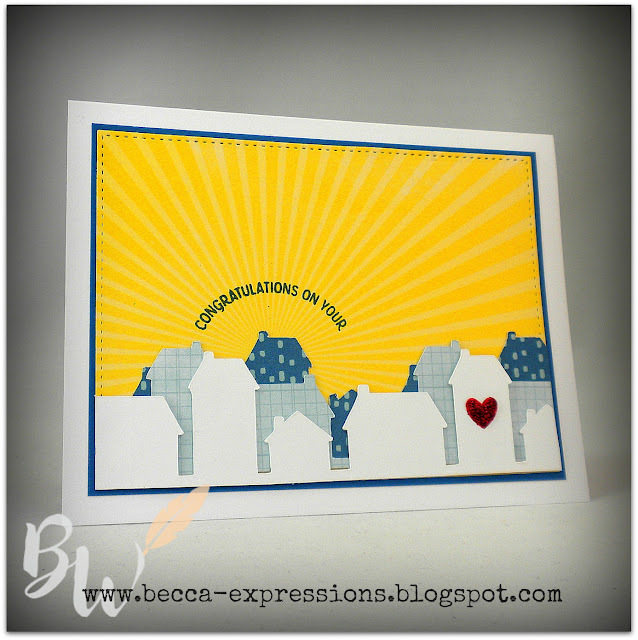 As promised yesterday, here's another card using Central Park-Cardmaking for a new home card. This one also uses the Artistry cartridge, which is my all-time favorite, and yet I sometimes forget about how many great images are on these cartridges because I'm having too much fun with stamped images. My friend moved into a townhome, so I wanted to give the card a city feel. I sized the row of houses to 5.5" wide and then started messing with it. The image comes with two cut out hearts, but I only wanted one...and not on either of the houses pre-programed into the image. I selected the image, clicked on the Contour button, and filled in the hearts. I then copied and pasted the image twice, using the Flip button on one of them. After selecting the Shapes feature, I added a heart, sized it, and sliced it into the townhome shaped image on the right. After I cut the rows from three different papers (patterned ones from Central Park Paper), I backed the cut-out heart with Red Glitter Paper. Of course, once I was done fussing with all of that, I realized I could have just cut a heart from the glitter paper and glued it on top. Yeah, sometimes I over-complicate things. Anyway...I then die-cut the sunny yellow background (also from Central Park Paper) using MFT stitched frames. I backed the yellow with Pacifica cardstock cut 1/8 inch larger than the yellow then glued my three rows of houses down. 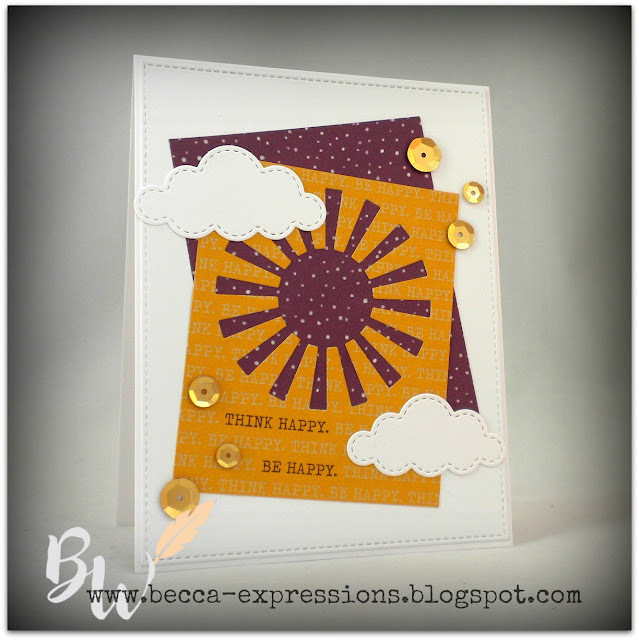 The final step was stamping the half-circle sentiment from Central Park-Cardmaking in Pacifica ink. I then glued all of it to my card base. 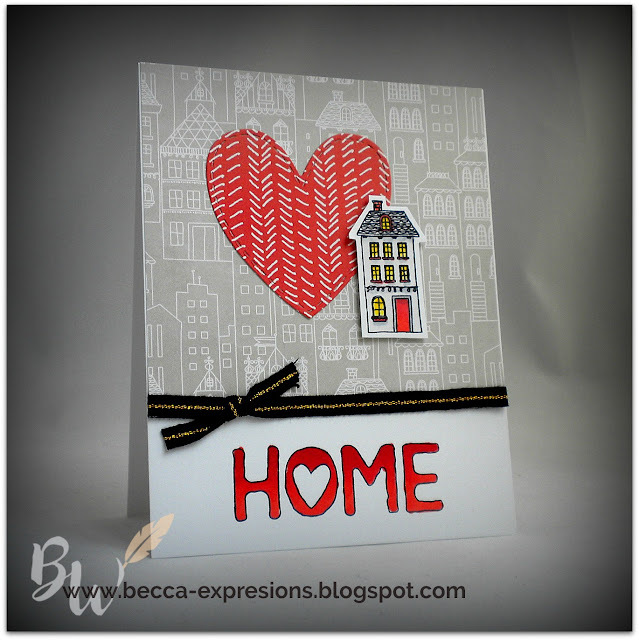 To finish it off, I stamped "New HOME" on the inside using Pacifica ink. Isn't that just so bright and cheerful? I think my friend will get a smile out of it. This card features the Central Park Paper Pack. I cut the background to 4.25 x 4 and attached Black and Gold Ribbon to the bottom before gluing it to the card base. I always tie my knot loosely at first then pull it tight once I'm sure it's in the right place. I then used the largest Stitched Heart Thin Cut with the red paper from Central Park and glued it down a little left of center. I stamped the house in Black ink on a separate piece of white cardstock, colored it, and fussy cut it out using Micro-tip Scissors. This stamp set comes with coordinating Thin Cuts if you prefer. I foam mounted the house next to the heart. Next, I stamped the sentiment in Black and colored it with two shades of red, blending them for an ombre look. Please note, I used Copic Markers rather than ShinHans because I invested in Copics before CTMH came out with the ShinHans. I've used my best guess for comparable colors, including the colorless blender which helps soften more intense colors. In writing news, I've been making good progress on book three of the Montana Brides series. I sent off over forty pages to my critiquing group. We'll see how they like it. The instant CTMH came out with the Documented Paper Pack, I started planning this layout. To finish it, I have to wait for the cover of book three (which I should be writing instead of scrapbooking, but...this is so much more FUN!). One of the amazing things about being a published author is that I truly am living my story. 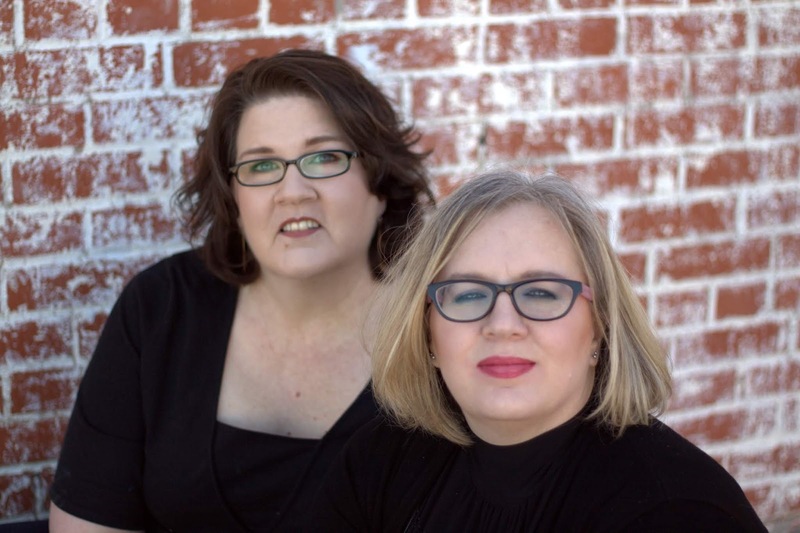 Of course, these stories are written with my friend, Gina Welborn, so I'll be developing this picture to add to the page. We had these joint head shots taken about a year ago. If you visit my author website, you'll see that I also had some individual shots taken at the same time. We spent about three hours in four different locations, and all of our favorites came from this one. Of course that might be because it was the only place blocking the famous Oklahoma wind. Some of our "bad" pictures were hilarious. Hair all over the place! As for the layout, I used nothing but the Documented Workshop Your Way except for the pink hearts. I die cut those using the Stitched Hearts Thin Cuts. These will still be around come September, but the price is going up so get 'em fast. Okay...off to write The Telegraph Proposal. It doesn't come out until 2019, but you can order both The Promise Bride (2018 Spur Award Winner for "Best Western Romance Novel") and pre-order The Kitchen Marriage which releases October 1 of this year. There are also two ebook novellas included in the series: Come Fly With Me (prequel to The Promise Bride) and To Catch a Bride (prequel to The Kitchen Marriage). Links to all these stories--and more--plus the link to my author page are along the right sidebar.